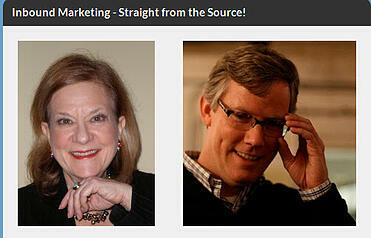 You are among the very first on the planet to get groundbreaking news about the present and future of marketing. Culminating a year of intense development, HubSpot co-founders Brian Halligan and Dharmesh Shah have just rolled out HubSpot3 a powerful new version of its software that even more fully integrates and analyzes the many functions of successful Inbound Marketing. The announcement came minutes ago during their keynote presentation here at Inbound 2012, a gathering of HubSpot users, Inbound Marketing agency partners and those interested in learning more about Inbound Marketing and evolving their marketing for the way both B-to-C and B-to-B customers buy today. A number of new features – particularly those that provide Smart/Dynamic delivery of content, forms and calls to action -- fulfill the vision that Brian Halligan put forth at last year’s Inbound event: To enable marketing segmentation to the individual level. 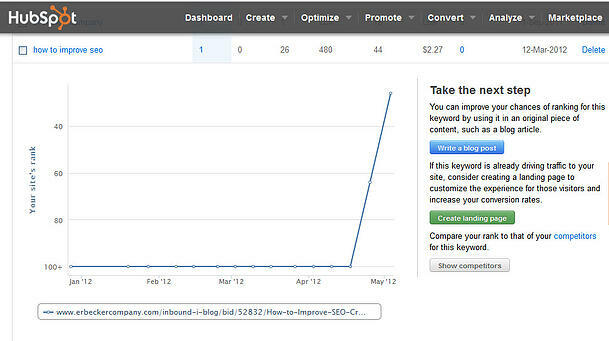 HubSpot3 provides marketers unprecedented control and ease of implementation of all aspects of Inbound Marketing. If you had to cobble it all together yourself, you’d have to purchase at least eight separate products and then try to get them all to talk to each other effectively. And you still wouldn’t have as elegant and impressive a solution. 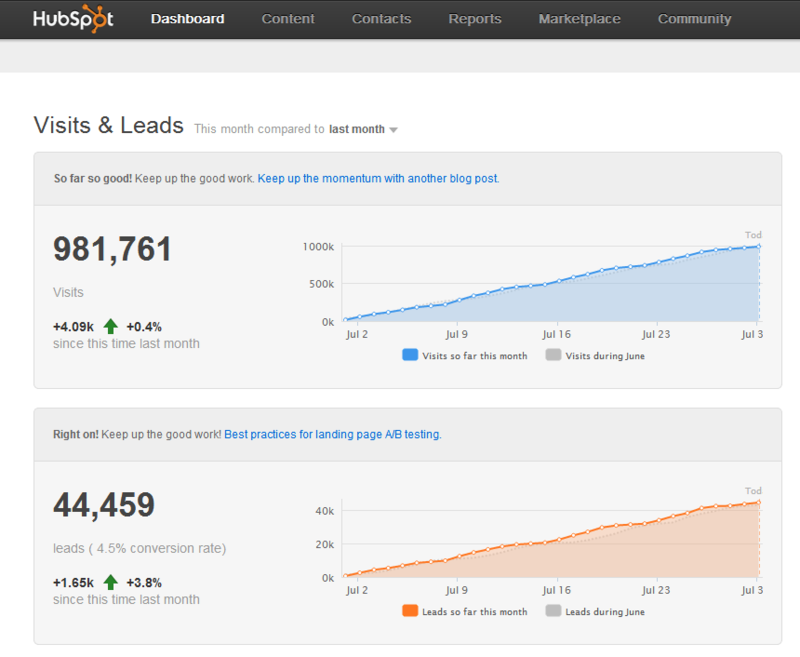 Any business owner or corporate marketer who has looked at HubSpot in the past must take another look now. Some of the new elements are available across all levels of the HubSpot product – Basic, Professional and Enterprise. Some features are available only at the Professional and/’or Enterprise levels. These decisions were based on providing features of greatest importance to each HubSpot persona group at realistic pricing levels for each customer type. Contacts Database: Originally released to a small audience in June, Contacts is an ever-evolving information portal on a company’s audience (Prospects, Leads and Customers). Contacts is really the brain of the new platform with lead and customer profiles automatically adapting and updating based on changing preferences and interactions with the company. Email: Also released to a small audience in June, the email system is closely integrated with the contacts database, workflows social media, dynamic content and a company’s CRM system. It enables greater personalization and deliverability than ever before. Workflows: Workflows leverage the enormous amount of data in the Contacts database and a series of rules set by the marketer to create dynamically evolving segments and automate marketing actions. More than email automation, workflows enables marketers to trigger campaigns, change contact profile properties, score leads, send notifications, and sync to a CRM system based on when a lead has met a set of conditions. Landing Pages: Landing pages have been rebuilt to be closely integrated with the Contacts database, CRM systems, email, dynamic components, and social media. Using the new landing pages, marketers can build, implement, and measure a full multichannel campaign in one place. A/B Testing is built in (at the enterprise level) and the new landing page templates have responsive design to optimize for different devices and browsers. Because of Smart Forms and Smart CTAs (See these points below), HubSpot's landing pages are also among the most adaptive on the market. Smart Forms: Smart forms adapt and minimize over time. As a company gathers contact information about a given lead, the forms remove fields that have been filled in during previous submissions, making for a better user experience. For example, any of you who have filled out the same long form in HubSpot every time you want to download a piece of content will never have to do so again. Smart CTAs (Calls to Action): Built off the Contacts database, HubSpot 3 enables you to show images and CTAs that adapt in real time to the interests of each visitor based on previous interactions with your website. This is AWESOME and cutting edge! Smart Lists: Smart lists are continually evolving contact lists based on a set of criteria. Each time an individual meets the rules of a smart list, they are added. You can have an unlimited number of Smart Lists that are segmented based on the value of a contact property, being a member of a static list, or having ever filled out a specific form. Social Media: With a new integration directly into Contacts, HubSpot Social Media now enables you to view a lead's social activity and create dynamic segments based on your most engaged social media followers. In addition to that functionality, called "Social Contacts," HubSpot social media now has an in-app view of all your Twitter and Facebook interactions and enables you to respond, follow or other action. Mobile App: Available for free in the apple store, HubSpot has added a mobile application to enable marketers to keep tabs on their lead generation and customer conversions on the go. The mobile app includes a view of Sources, Marketing Grader and Contacts. The evolution of the HubSpot software was enabled by significant investment in the past couple of years by online marketing giants Sequoia Partners, Google and Salesforce.com. Some of the features – like the new email product -- are already available to new customers and are being rolled out to existing customers. Other features will be rolled out over time. A new pricing structure has also been rolled out – effective September 1. Contact us for more info and demos at info@erbeckercompany.com. If you're still not sure what Inbound Marketing is or how it can help your business, download our free Inbound Marketing fact sheet here. Somehow a trend has developed that threatens website user experience. Mess up a visitor’s ability to easily navigate your site and you can rest assured that it’s costing you business. What’s the trend? “Home” is disappearing from navigation bars. I suspect that this is the result of a move to horizontal navigation – across the top of the Web page. Horizontal navigation is limited. So developers are trying to find space to accommodate more categories on the nav bar. What they’ve decided to ditch is a navigation tab for “Home”. On many sites Home has been replaced by a link from the company logo. This is confusing to many visitors who are not mouse-ing around a page looking for what they can click on. 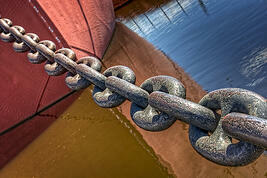 Most visitors are looking for the text, the words, the links that will take them where they want to go. What's my inbound advice? Even though I regularly counsel clients not to be Home Page-centric – to recognize that if their site is properly optimized, visitors may enter the site from any page. But they also shouldn't run away from home. The home page is still the spot on a website where there’s an overview. It’s where key messages are introduced and where look and feel and brand identity are the strongest. Home is still the gateway to the company and people want to see Home pages. Home is the hub of the site from where you can navigate everywhere (one hopes). Don’t give up a Home tab in deference to design and space issues. Challenge your web developer to come up with something less restrictive than a main navigation across the top of the page. I’m very resolute on this topic, having engaged numbers of web searchers on the topic. When asked how they would get to the home page on a site where Home is not in the navigation, most have given up trying to figure it out in exasperation. Why set up your visitors for frustration? Why design a higher bounce rate into your site? 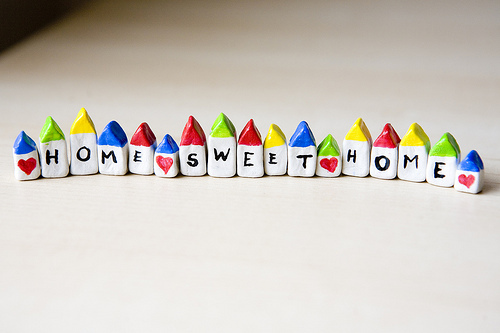 Make it easy for visitors to get everywhere on your site – especially to your Home sweet Home. While you're here, take advantage of a free opportunity to learn more about Inbound Marketing. 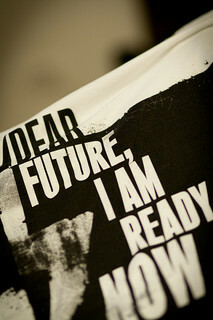 Image is from the flickr photostream of Diana Parkhouse under Creative Commons license. Don’t tell me that your audience skews too old – or young – or anything else to market to them online. It’s just not true. Today my 84-year-old mother bought shoes for a special occasion on Zappos. She did it all by herself after the bricks and mortar stores in a 20-mile radius of her home didn’t turn up anything suitable for her tiny size 5 feet. I’ve seen too many toddlers having tantrums when their parents take back their iPhones. The little guys actually know how to use them, too. The parents are moving to mobile to research products and services, make buying decisions and complete some of their purchases. The kids are growing up downloading games and may never set foot in a retail establishment. Like my mom, they’ll buy it online and if they don’t like it or it doesn’t fit, they’ll send it back. Making excuses for not changing your marketing to take advantage of the enormous shift in how we all shop and use technology makes you an ostrich. Sure some of the traditional ways to market still work ok for now. They don’t work as well as they once did and they’re not going to work any better over time as we continue our relentless move to the Web. So consider this tough love. We’re in a global economy with competition you haven’t even thought about yet. We hate to change. Sorry. We have to change. The sooner we do it, the more successful we’ll be. There’s no time to waste. We still have a competitive advantage if we’re willing to change now. But it won’t last forever – or for very long. Oh, did I tell you that my mother now reads the New York Times online? It’s something she said would never happen one short year ago. Now she feels great about not throwing out all that paper every week. And when I do guest stints on the LinkedIn Lady Show on Internet radio, mom streams it live. Please don’t tell me that you don’t have time to write a blog and create other content, or to learn how to find and interact with your communities on social media. We’re evolving and you don’t have to do it all at once. But if you don’t have time to at least begin marketing in the ways that are successful today, then you don’t have time to be in business. While you’re here, download our free ebook and learn how to implement successful campaigns on Facebook and Twitter. 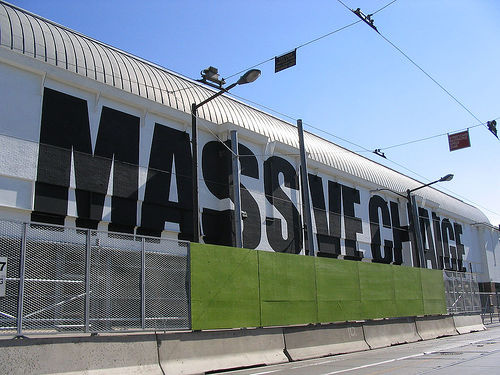 The Massive Change image is from the Flickr photostream of Maria Reyes-McDavis under Creative Commons license. When companies come to us for advice, "put up a Facebook business page" is not the first thing we tell them. In fact, we may not recommend a Facebook presence at all. As an inbound marketing consultant, I'd like to share with you what we do consider and why the inbound approach has so many benefits for our clients. Who is your customer? How can we find them online (where they're already looking for products and services like yours) and keep them happy if we can't define them? We work with our clients to boil down their understanding of their customers into Buyer Personae. This helps us speak the right language and deliver the right information and messages in marketing. How much of your revenue growth do you hope to achieve from leads from online sources? Once we have the information from points 1. 2. and 3., we can determine how much traffic we have to drive to your website, what percentage of that traffic we have to convert to leads and how many leads have to convert to customers to reach your business goals. Now we can put together a plan to get you there. Here's where we start considering which tactics and tools are mission critical. Does your website need an update or a do-over to take advantage of today's online opportunities? How are we going to get you found by search engines and your important audiences? We determine what keywords they're using to find companies like yours and optimize your web site for those search terms. 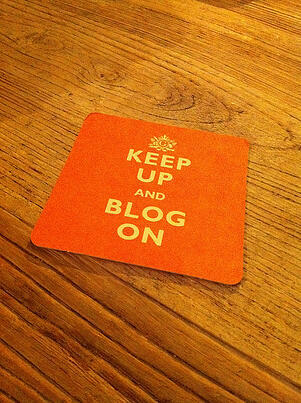 Since consistent blogging is critical to driving traffic, who will blog for you? We'll help you connect with your brand personae on the social media platforms where they gather. We'll create a plan to convert leads through calls to actions, landing page and content marketing and then nurture them with more content and email campaigns. We measure it all. This is the most important thing about inbound marketing. It can be measured! We'll know what's working best and what needs re-thinking. We can adjust on the fly to make the most of client and agency resources. Closed loop analytics let us measure business closed online against budgets and objectives to determine inbound marketing ROI. An inbound marketing consultant has his or her eye on outcomes that contribute to business growth. If that's the number of 'likes' on Facebook, terrific. But that may not be true for your business. Inbound Marketing is powerful and it is the path to successful marketing in an age when people shop and buy online. How are you using - or could you use - the inbound process to take advantage of the web for your company.